Qualification: Applicant must have Post Graduation/ Graduation in forestry/ agriculture and horticulture background from National Level reputed institute such as IIFM, IIPM, IRMA, ICFRE etc. 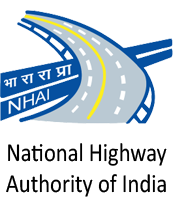 How to Apply: Eligible candidates may submit their resume along with application form via email at: nhairovja@gmail.com/ rovijayawada@nhai.org or speed post to Regional Office, Plot No.21, Teacher’s Colony, Gurunanak Nagar Road, Vijayawada – 520008, AP. Last Date: 08th February, 2019.